The recent Batman film, The Dark Knight Rises, is one of the most memorable. The dark themes and design make this one of the most gritty versions of Batman. Completely skipping the overt campiness (and imagination) of the Tim Burton films. 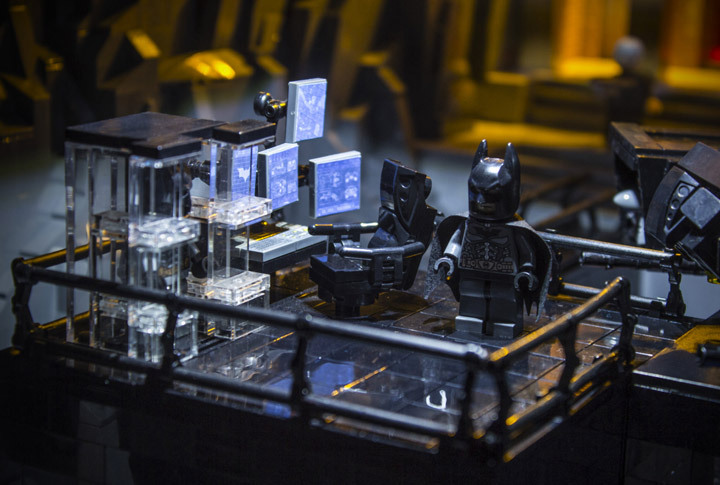 The Batcave is one of the most popular themes for a MOC. 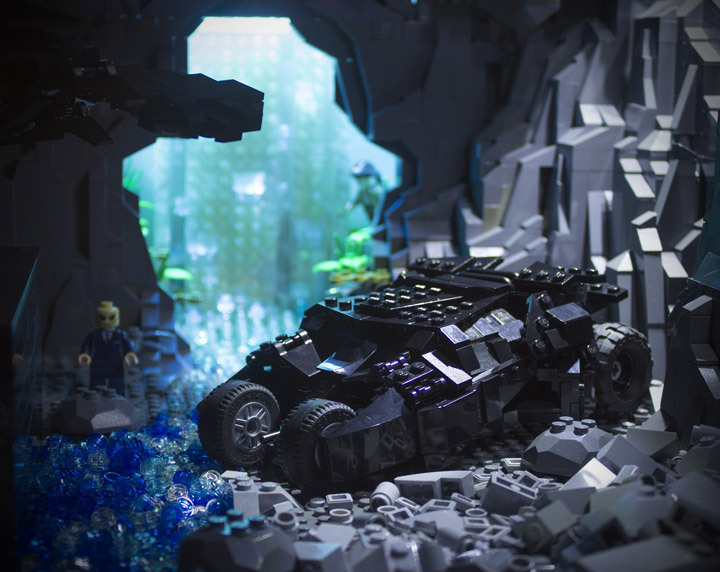 It is really difficult to stand out from the crowd, but Brent Waller has created something special with his Lego Dark Knight Rises Batcave. In order to make a more awesome display, some liberties were taken with the layout. 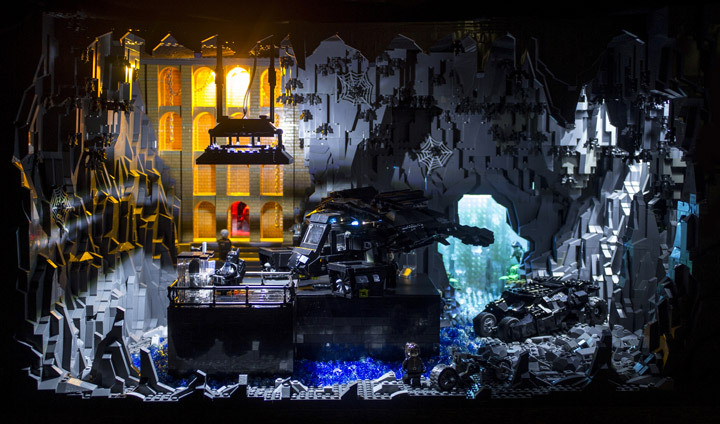 The waterfall and a few platforms have been moved in order to make the display more viewable. Most of the most popular Rogues Gallery villains have been hidden around the Batcave. Bane, Catwoman, Joker, Ras Al Ghul, Scarecrow, Talia Al Ghul, and Two-Face have all found their way in. Maybe Batman should install a security system.